This is one of the milestones towards the power unit commissioning. Bringing the reactor to the minimum controlled power level means that the controlled fission chain reaction has started. This operation will make it possible to accurately study the neutronics of the core required for the safe nuclear reactor first criticality and its subsequent operation. TITAN-2 Holding Company subsidiaries’ teams are also involved in the preparation of the unit for the power startup. Titan-2 Holding is the largest in the North-West group of companies, constructing the most important nuclear industry and power facilities. The company performs a full range of construction and installation works from engineering to commissioning. 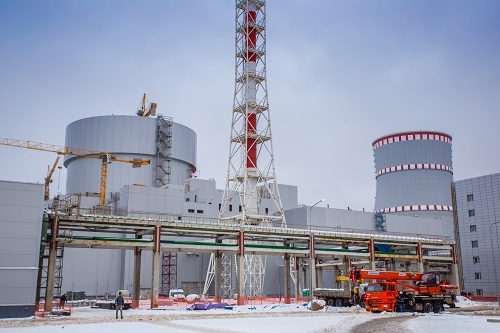 Titan-2 Holding is the general contractor for the construction of the Leningrad NPP-2 power units. The Holding Companies perform all the civil, installation, and electrical works at a construction site. The works are carried out in the reactor, turbine, power supply, water supply, heat cogeneration buildings and other power unit structures.